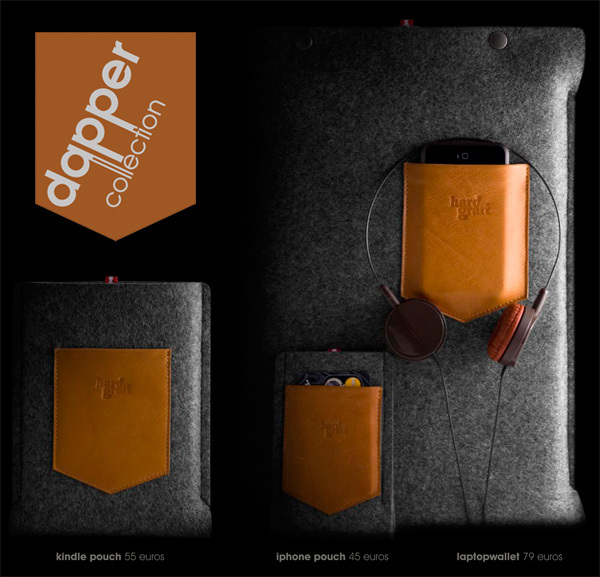 The Dapper Collection. 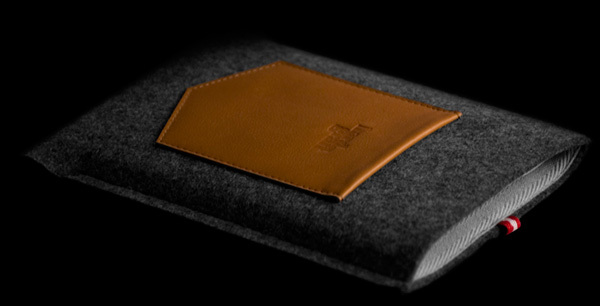 Also, they’ve mastered the Kindle case (see pics of a prototype i’ve been playing with on the next page), and it has a pocket which perfectly fits the iPhone. Honestly, its the perfect little bundle to grab when you’re off to read in the park or at the beach. 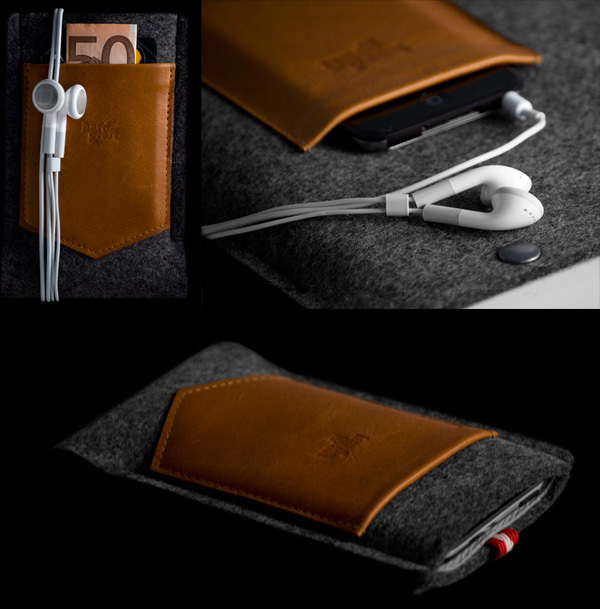 They’ve also got an adorable iPhone case, which has a pocket for some cash/cards… and a revival of the laptop wallet with top buttons and a new larger pocket also perfect for iPhones! So check out more pics on the next page, and see the full collection for purchase at Hard Graft! I must also add that they have wonderful packaging. My case was placed in a lovely old laminated map that made it all the way from Austria to the US in one piece. I only wish I kept the bag. 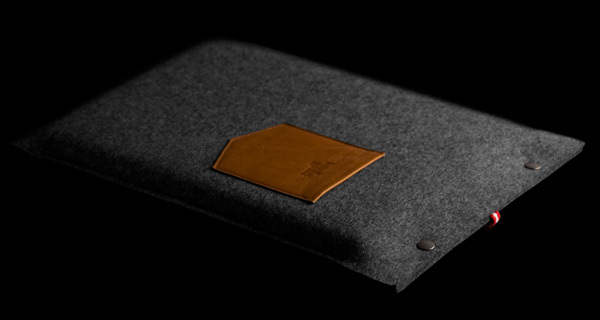 But the case is top notch and quite stylish; well worth the money. The one down side is that it’s shipped from Austria which was a toll for my carbon footprint and the velcro on my Freitag tends to stick to the lovely soft felt. 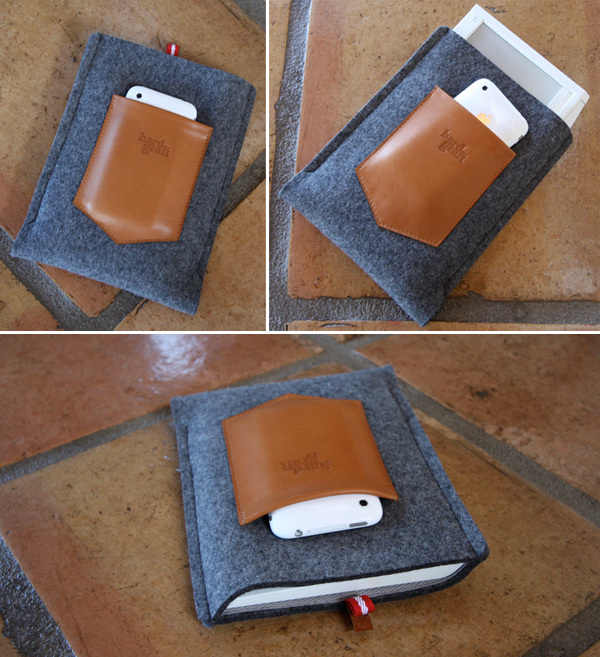 Looks interesting thanks for posting, does the Kindle fit tight enough so it won’t slip out? Have you asked if you can order without Hard Graft logo, I’m not carrying my iPhone with the words Hard Graft on the case but the materials look nice. I actually think that hard graft is better than working class heroes, it has a subtler, deeper meaning that fit’s to the vintage and sensible style of these products. working class heroes sounded too young and almost gimmicky. Love the new line from Hard Graft! I’ve been following them for a long time, and I’ve been saving up for their beautiful Unfold bag, but now it’s sold out!! So sad!! I love, love, love their stuff. But I really preferred the “Working Class Heroes” brand. It had an immediate message and made me feel like I was fighting for the underdog. “Hard Graft” has no meaning to me. The whole thing loses a little something. Especially with the name slapped across the leather like that. oh! I’m smitten - just ordered one for my mba! These are stunning! Awesome stuff thanks for this. I will definately be buying one of these when my new iPhone arrives! Don’t know about getting the Hard Graft Dapper, but those headphones look keen. Where can I get a pair of those? Who makes them?